TRF415 big pulley and gear diff conversion. So you have a 415 and you want to get back to racing against the big boys. 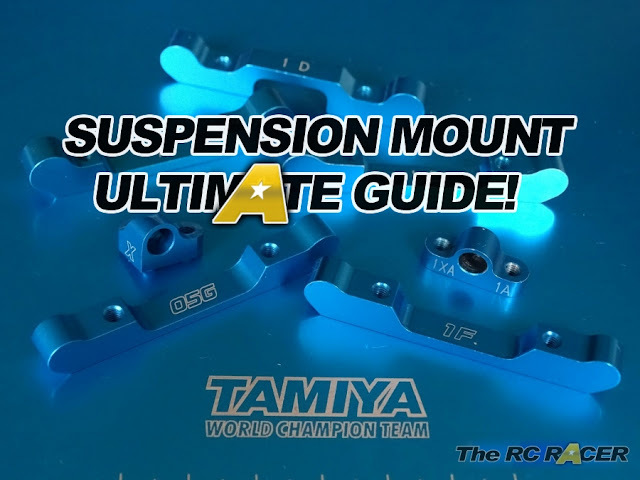 The 415 is still perfectly able to get you into the A finals, however there are a few things you can do to help the 415 be easier to maintain and cope with a brushless system. Rear gear diff pulley - I like ball Diffs, but the gear Diffs do seem to have more bite, and they also last for ages before needing servicing. Right so let's start, the car has the top deck undone and the rear ball diff, centre pulleys, front spool and belts removed. 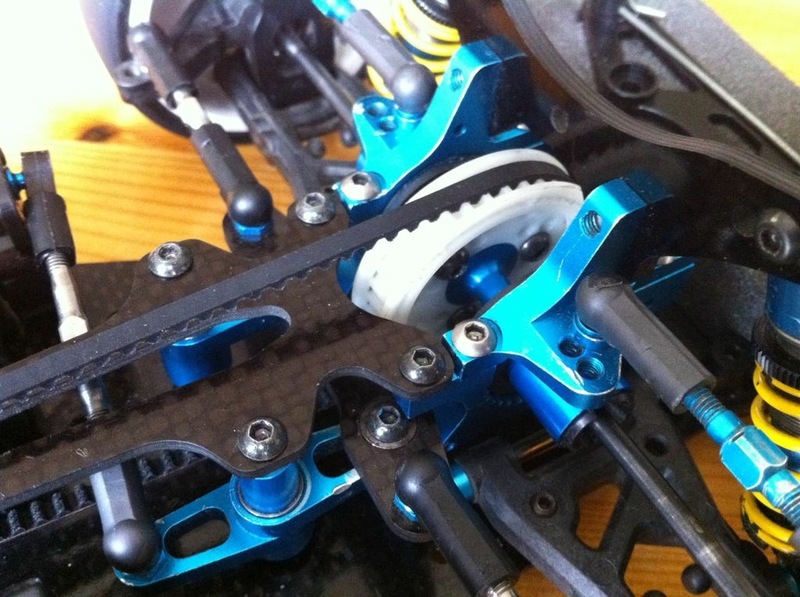 First up I made the 3 racing gear diff. The packet comes with two main pulleys, 37 or 38 teeth. I went for the 37t pulley as that matches the later TRF cars. The diff was really easy to assemble, and I was really impressed with the build quality. I used 2000 weight oil as I find it is loose enough to allow the car to rotate and still is assured on acceleration. When fitting the diff in the car you will need to shim it to fit with 10x0.3mm shims a pack of 10 will be sufficient, make sure it's not too tight. Also make sure you fit the new 61t X-Ray belt over the rear spindle before fitting it... Which I didn't at first.. Doh! 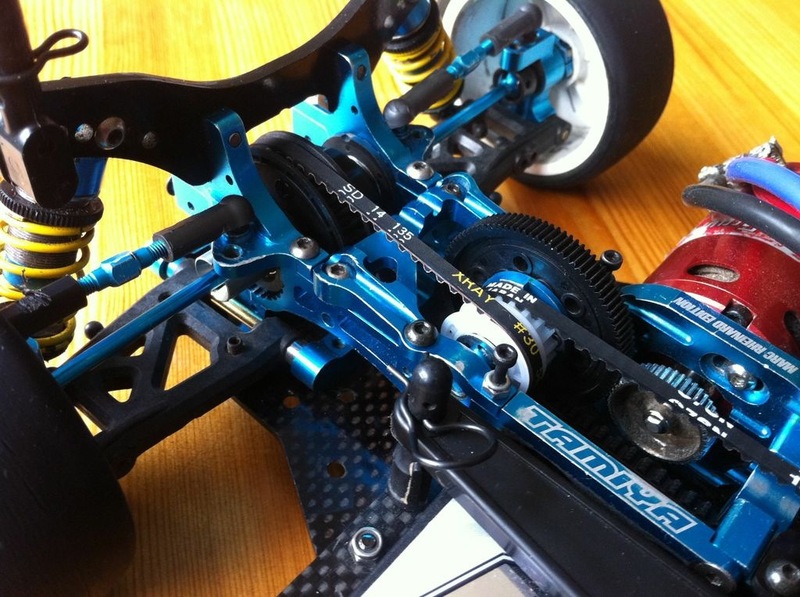 It must be noted the Sakura Has a slightly wider diff cup so you will need thicker shaft protectors, however 3racing includes them with the diff so swap them out with the old Tamiya ones on your rear shafts. The later TRF415's from the MSX Marc Rheinard versions all have plastic centre pulleys so you can fit any TA05 or Sakura Zero pulleys as replacements. To match the 417 I went for the 19t Sakura Zero pulleys. It's a nice easy job,I stripped down the main pulley and removed the 16t pulleys. Then after cleaning up the direct pulley holder, I mounted the new 19t pulleys. I then fitted the two belts over the pulleys and fitted it back into the car. 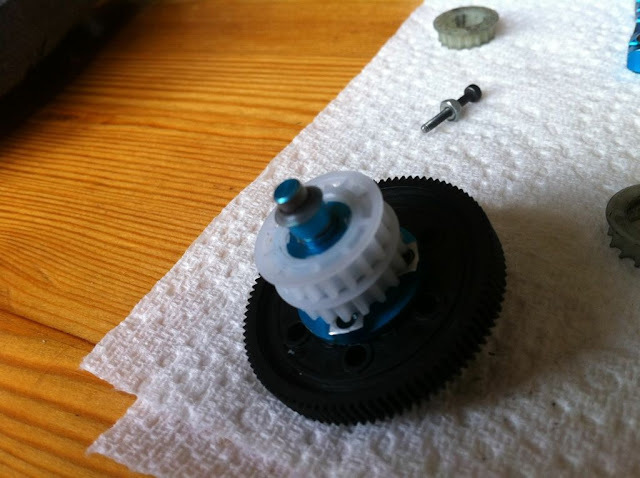 Really easy, just replaced the 36t pulley with the Tamiya 37t one. I gave it a quick run and it was fine, gear Diffs do seem do give more bite on acceleration. The rest is just to help on gearing changes. So let's go racing and see if the old girls still got some life in her..
hi there my friend, i wonder if you could help me with some measurements. i need the Gear diff dimensions so that i can check if they will fit into my car. I need the distance between, outer diff bearing to center of pulley, short side and long side, then the distance between outer cup to cup. Please help me. Thanks. What car do you have? i will try to get the measurements sorted by the weekend.